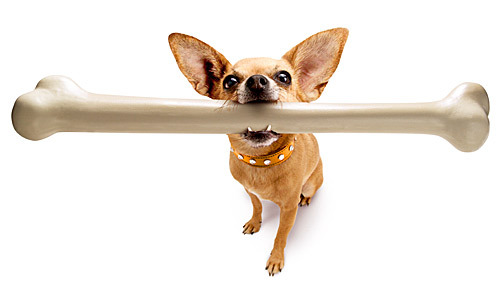 An insurance commercial that is on TV has captured the zeitgeist of our times: a dog has a big bone that he keeps moving from one hiding place to another for fear that a bigger dog might come and take it away from him. He buries it, then digs it up and stashes it, then transfers it to another hiding place where he stands guard over it through storm and rain. The insurance’s umbrella appears, cover him, and gives him relief! Oh really! I do not find that insurance gives me that much peace of mind. We have life insurance—but the premiums go up to a billion dollars a year if I don’t die young! We have home warranty insurance—but we have been denied coverage as often as we have really been able to use it. We have house insurance—with a huge deductible unless the house burns down! We have car insurance—but about half of the drivers in the state don’t, so what happens if you are in an accident with another person?? No, I don’t find insurance to be that reassuring! We were in a conversation the other night when someone raised the question of why all the great classics of literature are dark and/or tragic! Lots of films are that way as well. When was the last time a comedy got the Best Picture Oscar? I used to deal with that question a lot as a professor of literature. Especially students don’t want to see Hamlet die or the whole fish disappear in Old Man and the Sea. I bet you have never shown your kids Old Yeller because you were so scarred by watching it as a child! Even Bambi is on the banned list, isn’t it, because Mama Rabbit dies—and we don’t want our kids to have to deal with tragedy. My answer to my students was that life is absolutely tragic—if you are not a believer in Christ raised from the dead! Take away Christian hope and there is no relief from loss! You lose your youth, your health, your wealth, your loved ones, your family, your achievements, your memories! Fifty years after your death you are only remembered by a handful of people and 75 years later they are dead too, so you are virtually forgotten except for your name on the tombstone. Another hundred years and even your engraved name may be worn off or covered in moss. You lose everything—eventually! Did you hear about the rich guy who died last night? No, how much did he leave behind? If you believe in eternal life through Jesus, these losses are just momentary discomforts. You know that you have life, that you are loved, that you will be with all who love God, and that you will never cry because of loss again. The Christian faith is not insurance; it is assurance! Big difference! Life is all about uncertainty but we would not have it any other way. We would not want to live healthily until age 70 then die peacefully in our sleep. We would not even want to know when we were going to die. We are ok with time and chance happening as it will, with storms coming, and sickness coming, then health. All things die, and death is part of all things. This fact does not detract from our life. It does not detract from my life today that there is always a possibility that I will be struck by lightening tomorrow. I would not want to live forever if you offered me the chance. How long I am going to live after today, has no effect on the quality of life today, so it is irrelevant.